Red Eye video: 12 Years a Slave stirs controversy. CNN twitter account hacked. Will Ripley to CNNi. Superbowl Pre-Game: O’Reilly interviews Obama live. Zucker play: CNN primetime special...on Justin Bieber! 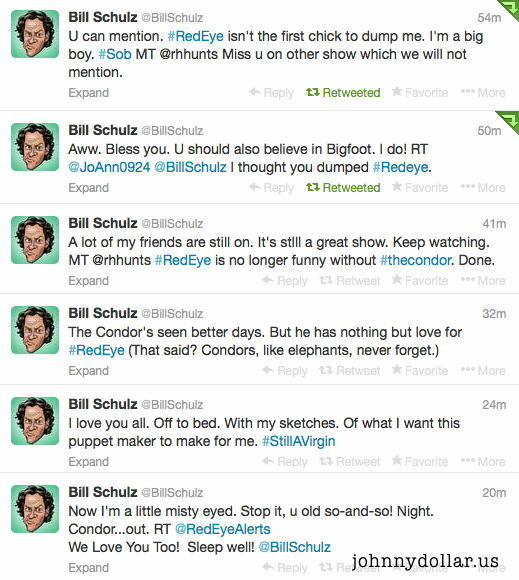 Bill Schulz hints he didn’t leave Red Eye voluntarily. Wemple: Wagner guest reciprocates with Vogue profile. Factor video: Bernard Goldberg on taking responsibility. Greta moonlights. Ratigan resurfaces. CNN’s web herring.